I am so excited to tell you about the Builder's Box. It's a quarterly subscription box for lovers of architecture. Full of stylish homes and skyboxes. 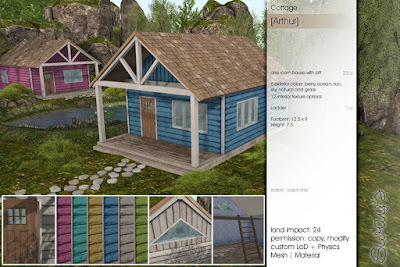 Sway's is part of the Builder's Box August and I made my first House. A single room Cottage with loft. A single room house with a loft. each one has 12 interior options, different colors and pattern. Only the owner can change the textures. 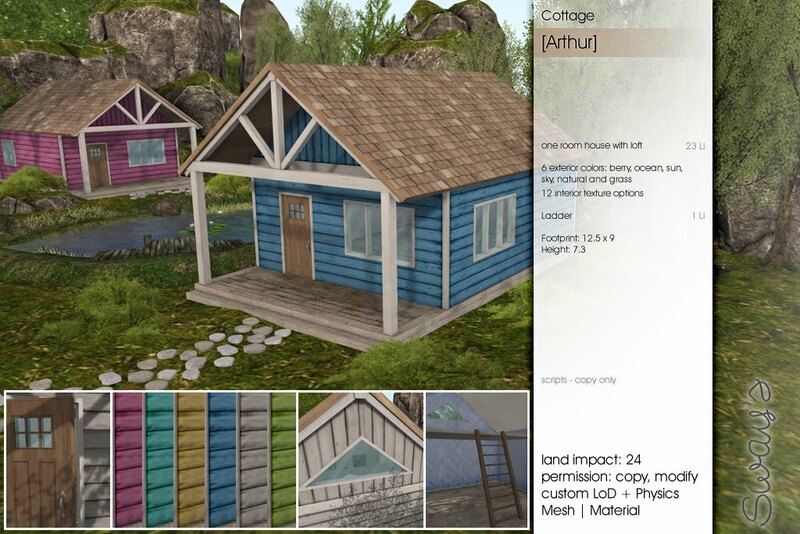 The Cottage has a very good LoD, is low on Land impact (23 Li) and comes with a custom physics shape. There is also a ladder (1 Li) to reach the loft, it is unlinked so you can place it wherever you like (or don't use it at all). You can purchase the Builder's Box August at Sway's, at the Builder's Box HQ and on the Marketplace.